En route to The Theatre at St. Clements on West 46th Street in Manhattan last night, I mentioned to a friend that I wasn't sure I'd ever seen a truly great production of a Clifford Odets play, and that I'd never seen a revival of the relatively obscure one we were about to see -- Rocket To The Moon. I'm happy to report that both facts changed immediately as the lights came up on Harry Feiner's inspired set, and The Peccadillo Theater Company began its soulful, stirring staging of this neglected 1938 piece. So often, in remounts of Odets, it can seem like the performers are acting in different plays; this actor thinks he’s in a 1930’s gangster movie, that actress thinks she’s Mae West on the vaudeville circuit, etc. More often than not, the proceedings are a total disaster, the performers and the material seemingly at odds with one another and both falling flat on their faces, hard. The result, in my experience, is never pretty, and often much worse than that. Such is not the case here. 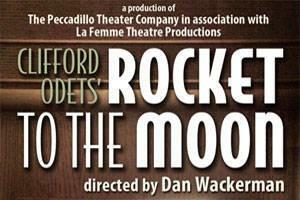 The Peccadillo’s production is a delicately masterful ensemble endeavor. While there are stellar individual performances throughtout (as well as a couple of curious casting choices), it would be unfair to single out any one actor. The entire cast gives absolutely everything they have to the whole, and because of this, the whole is so much greater than the sum of its parts. Every actor is fully invested in the material, and the material pays back in dividends. This is Odets the way Odets was meant to be. A sort of ugly-duckling relative to O’Neill, Williams and Miller, Odets sits uncomfortably in the pantheon of great American playwrights, and praise for him (when it's even given) generally comes saddled with qualifications like “problematic,” “early promise,” “unrealized potential,” and “Hollywood sellout.” His language and his characters can be extreme; it could never be said of a single page of Odets dialogue that the words are dull or lifeless. If anything, they can seem to have too much life. They bubble over -- with enthusiasm, with slang, with aphorisms, with jokes, with philosophy, with nerve, with joie de vivre. Play it too hard, the whole thing explodes in wince-worthy cliches. Play it too soft, and it falls apart -- the actors simply get crushed under the weight of exposed plot and dated speech. Somehow, The Peccadillo company and director Dan Wackerman have achieved a perfect balance. The pace feels musical, which makes sense and is something of a revelation. It is fortissimo and furious when called for, soft and legate at others (given this rare and welcome sensitivity, it’s a bit surprising that the sound design by David Thomas includes a jarringly anachronistic between-scenes soundtrack; this is a minor quibble). The cast finds the ridiculous, and they make it natural. They find the outsized emotions, and run straight into them -- the way we all can do when faced with crisis. The people in the plays of Odets are almost always people in crisis. This doesn’t make them lunatics, or buffoons, as they are so often (wrongly) portrayed. Sure, they’re a little neurotic; so are we. Sure, words come out of their mouths that they immediately regret; they come out of our mouths too. Yes, they can be grandiose, obnoxious, sentimental, irrational. So can we. These are not characters peopling a museum devoted to a clumsy, bygone era. They’re us -- imperfect, striving for understanding, desperate for love, dissatisfied, trying to make sense of the world, alive. 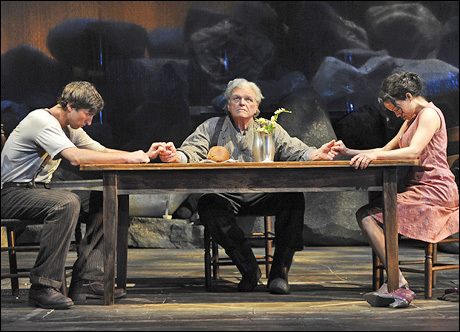 Wackerman and his actors do not condescend to Odets. There are no tongues in cheeks here. The company believes in the material, and so we do too. They jump into the fire, and we follow them. The approach here is one of humility, dignity, and respect, and it's moving and effective to watch. 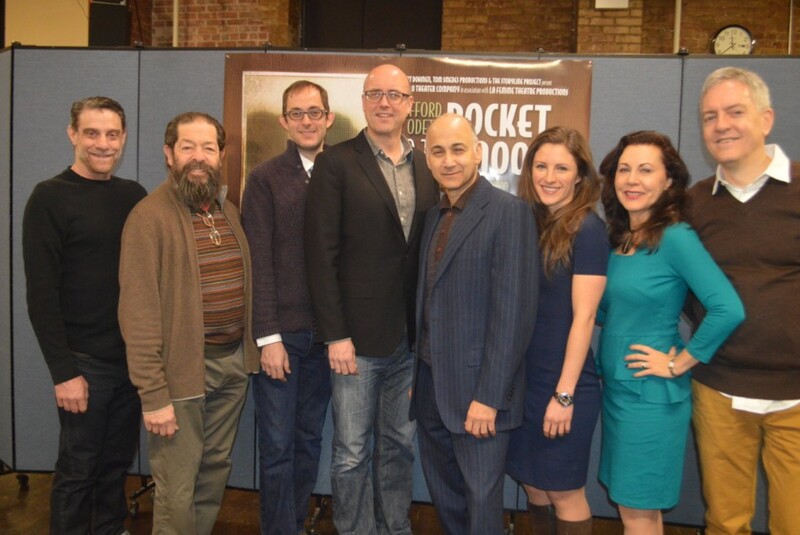 The play is given the treatment it asks for, and we are all enriched for it -- audience, company, and playwright. Bravo to The Peccadillo. This is a production that deserves a much longer and more prominent run than the limited engagement it’s just begun. See it while you can. I had the wonderful good fortune to be invited to spend a week at The Hotchkiss School as their guest Artist in Residence this semester, and -- let me tell you -- it was an experience I will not soon forget. My time there was profoundly meaningful, primarily because of how immersive it was. I was engaged on so many different levels of interaction, in mind, body and spirit. 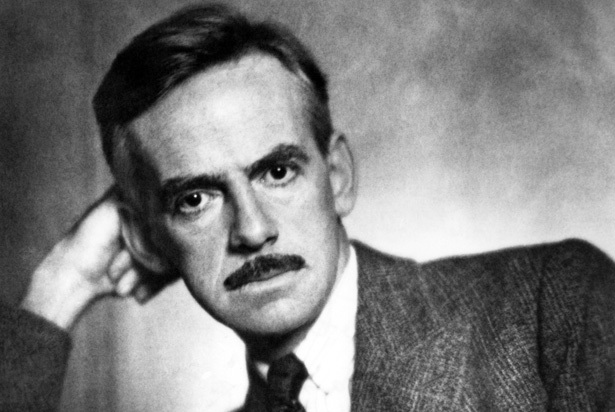 On an intellectual level, I got to share my passion for the plays of Eugene O'Neill, as I worked with students looking at both his lesser-known early experimental work, and his late, last plays. In an American Literature class, we read through the Prologue of the great god brown, that fascinating, unhinged yowl of an angry young man from O'Neill's early prime. We talked about the use of masks on stage, about hyper realism and expressionism, and about the power of the imagination -- how some plays can, perhaps, really only be performed on a stage (as opposed to being adapted to film, for example, which we would look at in a subsequent Film Studies class in which we read a scene from Long Day's Journey Into Night, followed by a screening from the classic film adaptation by Sidney Lumet). In a double session with two combined Humanities classes, students and I used Greil Marcus's text The Old, Weird America as a launching pad for a wide-ranging discussion that touched on the subjects of violence in American music and culture (using recordings of songs by the banjo player/singer Dock Boggs and Bob Dylan as two examples); the changing role that music has played in our society in modern times; the merits (or otherwise) of contemporary recording techniques like Auto-tune; the value of authenticity; and the similarities and discrepancies between old American murder ballads and contemporary Hip Hop and Gangsta Rap. A hands-on workshop with students who are writing original music and/or honing their instrumental skills in the music department found us working on a full-band arrangement for one student's original song (utilizing piano, electric and acoustic guitars, upright bass, drums, saxophone and backup vocals), and then backing up another student singer as she led us through a soulful, jazzy arrangement of "Georgia on My Mind," complete with improvised solos from members of the student band. 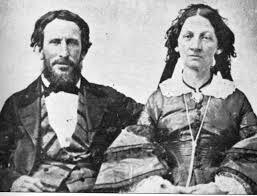 In several theater classes, and in another Humanities class that was engaged in making "Monument Projects," I talked with students about my Donner Party project "we are destroyed," discussing and showing examples of ways to interpret history, atypical ways to incorporate music and poetry into theater, and getting into the philosophy and idealism/hubris behind Westward Expansion in America. Some of the kids read portions of my oratorio out loud in class (a thrill for me), and I played them some of the songs I wrote for the piece, like "Do What I Want" and "In Another Life." I also had the opportunity to visit an acting class, where I talked about some of the craft and understanding of performance I've been able to glean as a working artist over the last decade and a half. In two Musical Theater classes, students and I had lively discussions debating the merits of the contemporary musical theater form itself. We had fun playing around with some of the songs that they knew or were working on as singers, as I accompanied them on guitar while they sang standards like "Fever" and "Crazy" -- some of them experimenting with vocal improvisation and tempo for the first time. In a Documentary Film class, I shared my experience of what has gone into creating a documentary theater project about Connie Converse. Here we talked about what elements are important in telling a nonfiction story, delved into what makes for a powerful narrative, and looked at similarities between Connie's mysterious story and Rodriguez from Searching For Sugar Man. The poet and teacher Susan Kinsolving brought me in to her Creative Writing class to talk about the creative process, and what it means to be a working creative artist. One of the students wanted to know whether my song Mary Ann was based on a real person, which led to a discussion about the power of imagination and how we can transmute specific real-life experiences into (hopefully) more universal art. And I was fortunate enough to be able to be a fly on the wall for Mike Musillami's "Right Brain Logic" rehearsal, a massive ensemble of student instrumentalists working on one of Mike's original composition that employed changing meters and keys, and elements of conduction (conducted improvisation) that was really something to behold. These are some advanced kids (and teachers)! 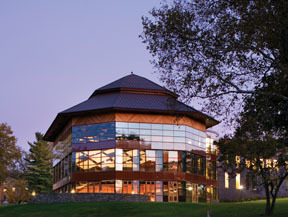 Finally, to cap it all off, my band came up from the city at the end of the week, and we gave a concert in Hotchkiss's beautiful Elfers Hall, for students, faculty and the general public. The show was a benefit for a local no-kill animal shelter, The Little Guild of St. Francis. Hearing my friend and sousaphone player Kenny Bentley in that hall hold forth on a song like "Pretty Polly" was quite an experience. And if all this weren't enough, in between classes I got to play tennis matches with several of the varsity and junior varsity team members (in an ongoing game called "Crush The Artist in Residence"), took a hike out to the Hotchkiss Farm with faculty and students (where I was given an opportunity to swing an axe on the wood chopping block), and took my meals daily in the Hotchkiss Dining Hall, where much of the food is locally-sourced and organic, where there are vegetarian options a-plenty, and where compost is collected from finished plates and trays. This is a very hip institution, as far as sustainability and eco-awareness goes. In fact, this is a very hip institution, period. The community I felt there, and the warm embrace I was given by students, faculty and their families, made it difficult to leave. The academics and creativity invigorated my mind. The beautiful grounds, athletic facilities and sports engaged my body. The sense of connection and mindfulness on display everywhere lifted my spirit. Thank you, Hotchkiss. I'm deeply grateful for the experience. Have you ever just wanted to quit? Have you ever been so worn down by the unkind and the uncaring people in your particular sphere of work that you just decided that it wasn’t worth it any longer? Have you ever reached a saturation point of disappointment and smashed hopes and dreams and fantasized about just giving up on the thing or things you’re most passionate about because you just couldn’t, or wouldn’t, pay the price required to keep those dreams alive any longer? Have you ever just had enough? 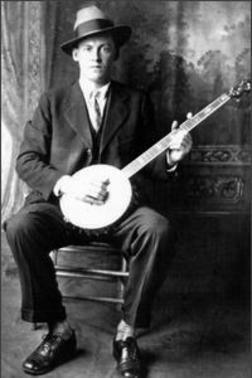 Connie Converse (1924-?) decided she’d had enough. After spending the best years of her life trying to make it as a songwriter and composer in New York City, she quit. She turned her back on the music managers and agents and record producers who rejected her, over and over and over again, over the course of her fifteen sum odd years living in Manhattan. And she turned her back on her music -- the beautiful, haunting, ingenious, intensely personal music that she finally became convinced no one wanted to hear. 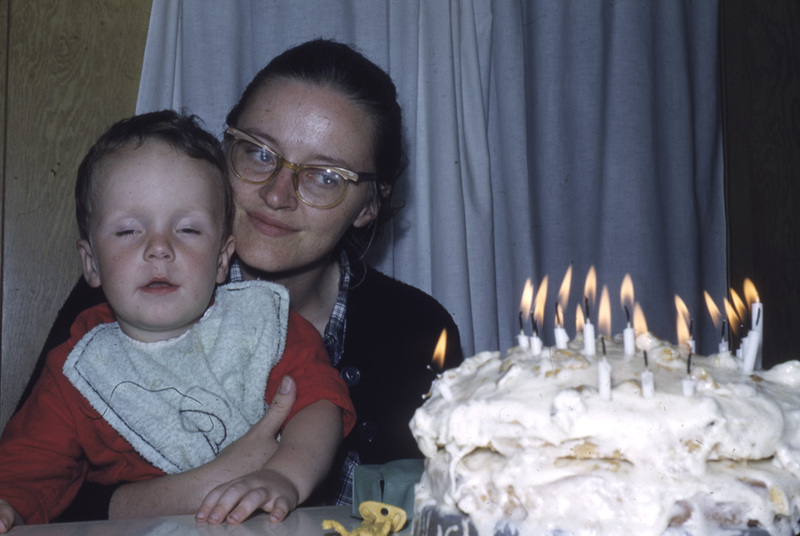 Connie spent the next portion of her life in Ann Arbor, Michigan working in academia, a time sadly devoid of almost any personal creative output. She made a mark for herself in the academic world, but she also sank into depression, alcoholism and mental illness. In 1974, she left again, this time for good. One day she simply drove away, leaving notes behind to friends and family that she needed to go and make a fresh start somewhere else. She’s never been heard from again. Connie Converse’s music has since been discovered and embraced by legions of fans around the world. Recordings that she made while living in New York in her prime were released a few years ago on an album called “How Sad, How Lovely.” And now, an entirely different corpus of piano art songs have come to light, and have been recorded by the young artists Charlotte Mundy and Christopher Goddard. A new album --“Connie’s Piano Songs” -- will be released on Valentine’s Day, with a CD release show to follow on Feb. 17 in NYC. The music industry people who told Connie Converse that no one would be interested in her songs are gone. The record industry people who told her that her music wasn’t commercial enough are gone. The producers and agents who condescended to her, the experts, they’re all gone. 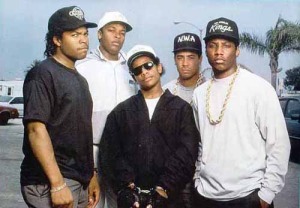 No one remembers them. No one cares who they were. They are forgotten. 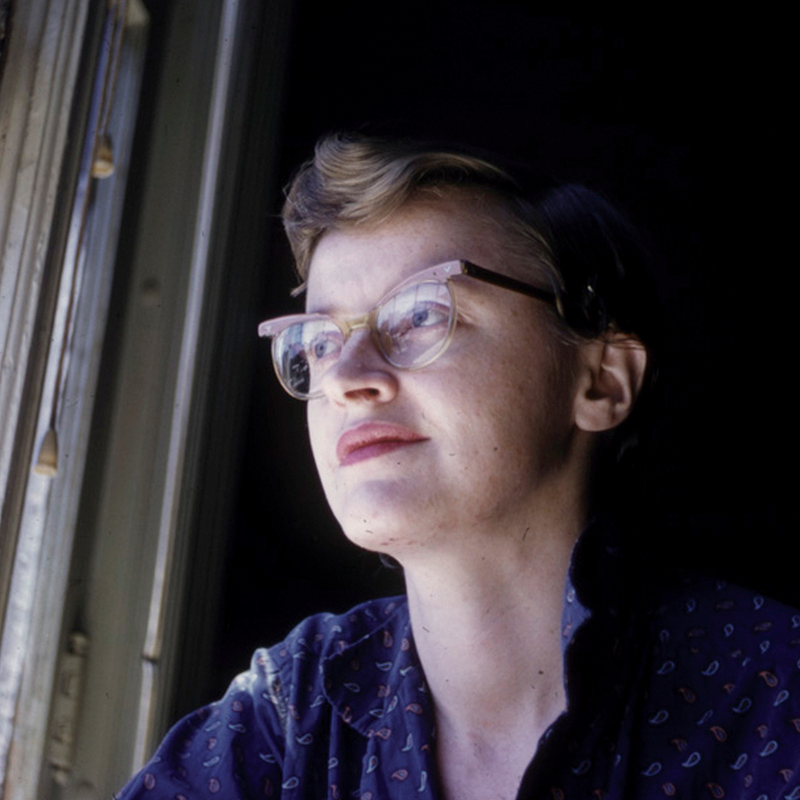 Connie Converse’s music lives on, inspiring a new generation of listeners, revealing more and deeper shades of beauty and meaning as the years go by. Her music will continue to live on, as long as there are people with open ears, open minds, and open hearts. Come hear Connie’s Piano Songs live and breathe for the first time ever on February 17th at Le Poisson Rouge. Come and celebrate the genius of this singular woman. On Febrauary 14, 2014 the world will finally get to hear Connie Converse's art songs for voice and piano for the first time, a half-century after their completion. The songs were left behind in manuscript form at the time of her disappearance in 1974, and never recorded until now. 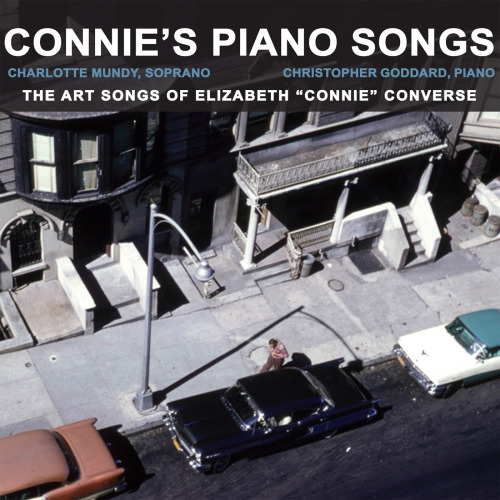 Connie's Piano Songs features the recording debuts of soprano Charlotte Mundy and pianist Christopher Goddard. 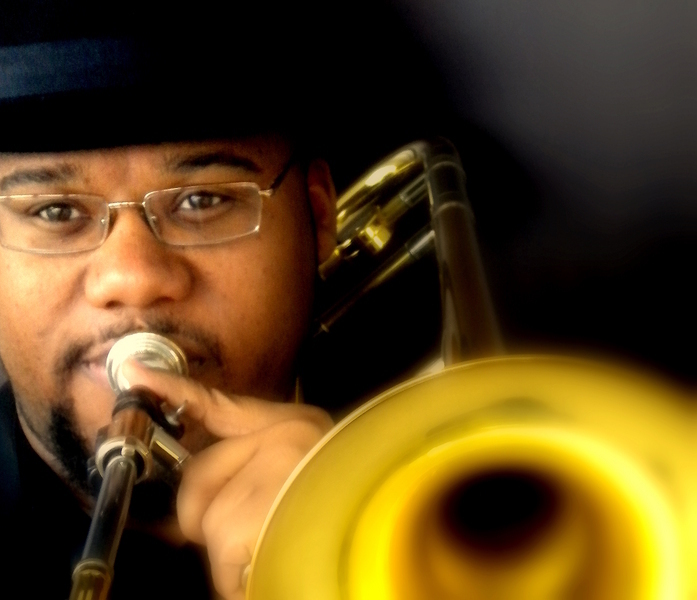 The world premiere concert/CD release show will take place on February 17, 2014 at Le Poisson Rouge in NYC. Tickets are on sale now. Those of you who have followed the progress of "A Star Has Burnt My Eye," my music-theater-documentatry piece about Connie Converse, may be especially interested in learning more about this music. I wrote a fairly extensive essay about her for the album's liner notes -- you can read it here. It feels appropriate to release this new CD on Valentine's Day. Producing it was a labor of love for me. I hope you'll join me in celebrating, at long last, the release of this beautiful music. Sometimes when I'm trying to do too many things at once, I forget what day it is. And sometimes, I can even forget what week it is. Not long ago I received an email blast about one of Stephanie Griffin's upcoming concerts, a duo recital with pianist Cheryl Seltzer at the Kaufman Music Center (where I performed my original score for Buster Keaton's The Frozen North as part of the New York Guitar Festival). 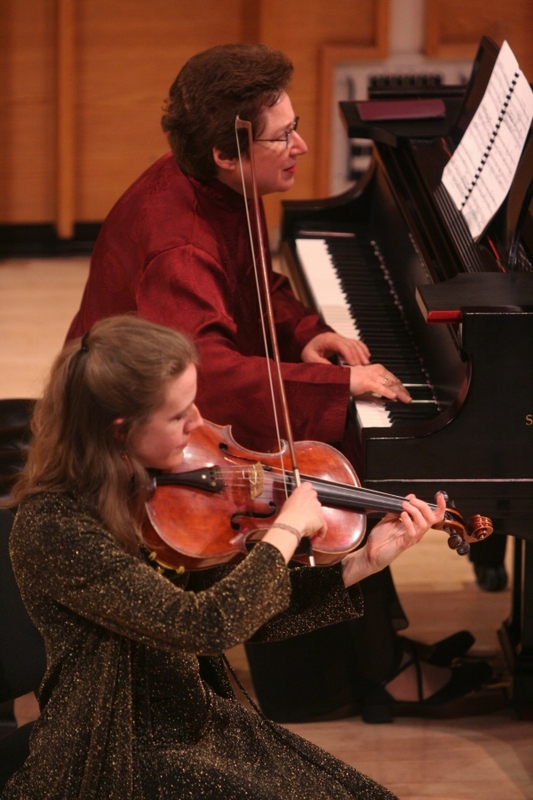 Because I'd never heard Stephanie perform in duo format, and because the program looked musically adventurous (including the World Premiere of Ukrainian composer Valentin Bibik's "Sonata No. 3 for Viola and Piano"), I marked it on my calendar just in case I ended up having a window of time that night. Last Wednesday, I made my way to the recital hall at Kaufman, getting there just a few minutes past the start time of the program because of a stalled subway train. I ran in, breathless, only to find...the music in progress, and exactly one other person in the audience! Well dang!, I thought to myself, it's just getting harder and harder to get people out to attend concerts, isn't it? I'm glad I was wrong. As it turned out, I'd arrived exactly one week early. This was the duo's rehearsal session with their musical director, and I was not only gifted with an invitation to stay, but alos encouraged to engage in dialogue with the artists between pieces, a wonderfully intimate and unexpectedly provocative way to engage with the stunning music being made that night. And stunning it was -- all of it -- though I have to say that the Bibik sonata was the most astonishing of all for me. I've recently had the honor of having Stephanie perform with me as part of my No Further Instructions ensemble, and I've heard her play with her terrific Momenta Quartet here in the city, but hearing her and Cheryl tear into the mad passion of Bibik's startling piece was a hair-raising revelation. The good news is, if you live in or near the city, you have a chance to catch this recital on the RIGHT date, this Wednesday, May 8 at Kaufman. All the info is here. PS I'll be performing No Further Instructions again this November, at The Jewish Museum in NYC (the photo above is from the recent show at Skidmore college-- more photos of that one here). With any luck, Stephanie's performance schedule will allow here to join me again. But if you're around and available this Wednesday, do go and hear her and Cheryl at Kaufman. You'll be happy that you did! 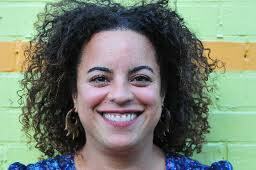 MARIKA HUGHES is a phenomenal cellist, singer, composer, and all-around singular human being. Whether I'm out hearing her perform, having the honor of her sharing the stage with me, or just bumping into her somewhere all of a sudden, she never fails to bring a smile to my face. Marika is bursting with good energy and is such positive spirit -- qualities that can't help but shine through in her musical performances. I've had the good fortune to have Marika's playing grace three of my recordings: NO FURTHER INSTRUCTIONS (that's her beautiful solo on "Your Voice"), THE WORLD WILL BE DIFFERENT (occupying the cello chair in the string quartet that's featured on most of this album) and BETTER GET RIGHT (where she sings and blows another gorgeous solo on "We Shall Not Be Moved"). Marika is currently in residency on Tuesday nights at BARBES in Brooklyn, playing with her fine, fine band BOTTOM HEAVY (a group that includes another excellent, too-infrequent collabortaor of mine, drummer Tony Mason). I had the pleasure of hearing them againthere a couple of weeks ago, and boy was it good. Tasty and grooving and full of joie de vivre. This is as good a time as you can have anywhere in New York on a Tuesday night. Go see Marika and her band. Go tonight, if you can. You won't be disappointed. Last night I took a friend to hear the Andy Statman Trio give their 603rd performance at the Charles Street Synagogue in the West Village in NYC. Somewhere in the world right at this moment, someone is making great art in front of a select, intimate group of people...someone who deserves more fame, more money, more recognition, but who volunteers his/her time and talent in the face of the immediate unavailability of any one (or all) of these things to be our surrogate on some collective, heroic journey. On Sunday night, I sat in a small, dark, hot room (The Stone) watching and listening as Ben Senterfit led his fearless quintet through a soulful set of music that was by turns meditative, chaotic, gritty, muscular and prayer-like. Like all great art, it had a destabilizing effect on my consciousness, calling into question basic assumptions I have about the way I live my life, the choices I make, the beliefs I have, the aesthetics I'm attached to. Just as painters push paint around a canvas and dancers move their forms across a stage, great musicians move feeling; watching this band, tonight, was like watching trees get struck by lightning. Each member of the group opened himself up as a conduit to the forces of the moment, and transmitted them via sound and emotion through their instruments and back to us. It was thrilling. In upending my own assumptions about things, the music also had the power to fill in those newly-vacated spaces with new inspiration, new ideas, new possibilities. Real art does this. It makes us look inward, clears out the cobwebs, and gives us back the greatest gift of all: our true selves, revealed, the selves that we can easily let get covered up by unnecessary layers of thought-garbage. Real art cleans us out. The band was one unit, an organic machine, working together toward a common goal of truth and (sometimes ugly) beauty. In addition to double-threat Ben Senterfit's sax and guitar (both played with grace and conviction), there was Jacob Sanders' baritone sax, Kailin Young's violin, and the relentlessly grooving rhythm section of Jarad Astin (organ) and Matt Crane (drums). All of this, for $10. Ten bucks. The price of one drink in any number of NYC establishments. And how many people were there, besides me? About a dozen. How many people in New York City went to see the Yankees and Mets play that day at their respective stadiums? I looked it up: 88,652. 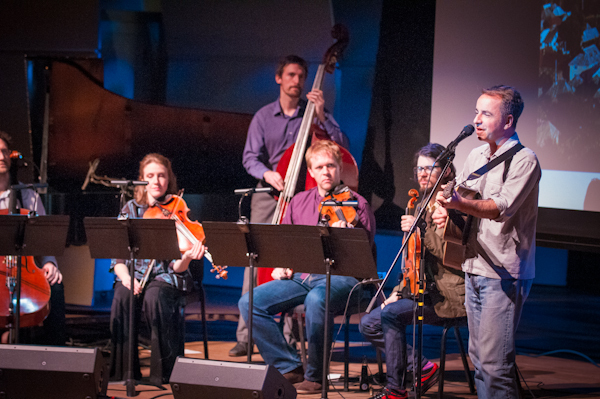 Twelve people went to hear Ben Senterfit tonight at The Stone. Twelve. I'm not saying that baseball can't be a fulfilling activity, or that live music somehow has more intrinsic merit. I love baseball. I follow it closely. It brings me great pleasure and diversion. What I am saying is: something is askew here, and maybe it says something about the state of the American psyche. Imagine a world in which eighty-eight thousand people in NYC went out every night to hear live music. Or half of that? Or a quarter of that? What about a world where ten percent of the people who go to sit in the stands to watch millionaires compete against one another on a ballfield instead went to a live performance? And imagine if half of those people, say 4,000 or so, or half of a half of those people, say 2,000, or even half of a half of a half of those people, say 1,000, felt as inspired as I did after hearing Ben Senterfit at The Stone? What if 1,000 people every single night felt their assumptions and beliefs shaken, were forced to consider new perspectives, felt humbled by the beauty that art can bring, felt more in touch with themselves and the rest of humanity than they did before they walked in the door? Of course, that's assuming a lot. It requires every show to be as good as the one I saw. It requires every band to be as talented and fearless. It requires those 1,000 people to even know where and when the good shows are happening. Is every live show great? No. Is every baseball game great? No. Seems to me the odds do not favor either. I'd like to think you're as likely to see a great performance just as often as you're likely to see a great ballgame. Which is to say, once in a while. Sometimes. They don't happen every night, but they're what you hope for, and they're why you come back. When they happen, it makes sitting through the mediocre ones -- and even the bad ones -- well worth it. I was a fan of live performance long before I became performer myself, and it is the audience member and fan in me that urges you to do yourself a favor and make it a practice to go and put yourself in a space with people who are making art right in front of you. 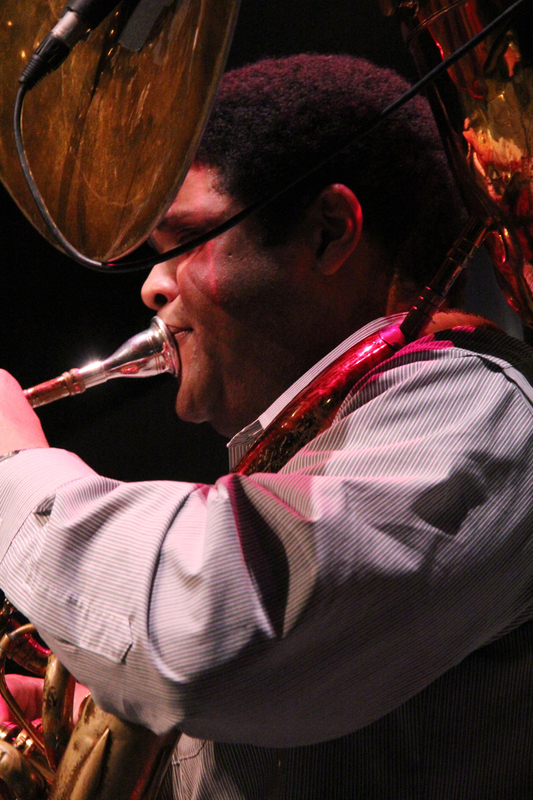 It doesn't matter whether it's a jazz band, a dance group, an orchestra, a theater company, or what have you . Go be there and support people like Ben Senterfit, and places like The Stone. And bring a friend. Bring ten friends. Make it an outing the same way you would if you were going to a ballgame. Have a meal together beforehand, or after. You may go in thinking you're doing something for the artists by simply being there (and you are), but you may leave knowing that you did something even greater for yourself. 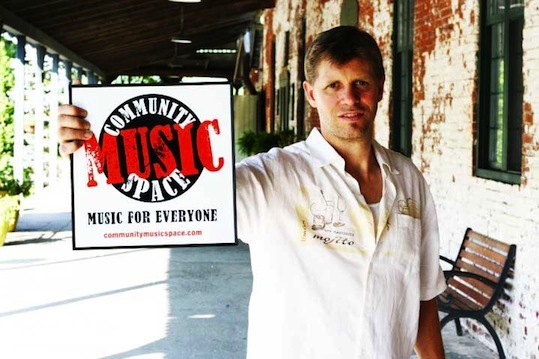 Check out Ben's Community Music Space up in the Hudson Valley...our man is doing the right thing. Werner Herzog's new film, "Cave of Forgotten Dreams." At the end of last night's Jonathan Richman show at the Bowery Ballroom, an unexpected thing happened. After graciously giving two encores, our man put his guitar away, started for the exit, and then came back to the mic. He explained that something didn't feel right to him...that the show had had a lot of ups and downs, but it hadn't felt good to him, somehow. "We don't play with any kind of plan," he explained (speaking for himself and drummer Tommy Larkins). "And tonight I was really feeling the lack of a plan. We try to keep things fresh...it's like bread: as soon as you take it out of the oven, it starts to get old. 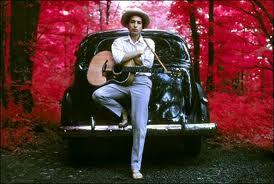 But," he explained, "I would rather fail like that than play the same stale thing every night." Anyone who's ever gotten on a stage knows what it's like to have an off night...to not be connected to the music, or to the audience, or (worst) to oneself. It happens, and it doesn't feel good. But witnessing Jonathan Richman's palpable sense of confusion and unrest for not (in his mind) delivering the goods, to see him offer himself up like that in front of a packed house, was really something. One fan suggested he solve the problem by singing his song "Springtime in New York," and yes, he said, that might very well be just the thing. 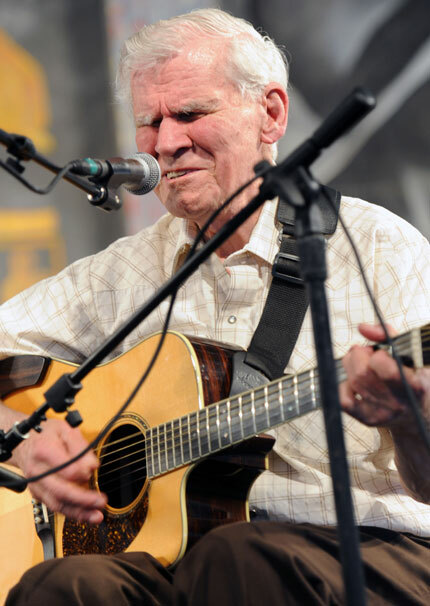 He called Tommy back to the stage, unpacked his guitar, and performed the song with tenderness and real love for the audience and for the city, and all was well once again in the world. This guy is unlike anyone else. I've had the good fortune to catch him a number of times over the last few years, and at each show have been completely floored by the intimacy he creates with the audience, by the spontaneity of his performance (the guitar flights of fancy, the lyric ad libs, the off-mic bits, the dancing! 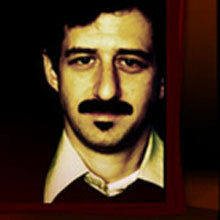 ), by his total engagement in offering service to the crowd in the form of light, humor, warmth, gentleness and wisdom. Sure, I could tell he was a little off his game last night. He started strong, but seemed to become preoccupied with his decision to instruct the venue to keep the A/C off. As it got warmer in the room, he began to worry about the audience's comfort, asking us if we were too warm, even as one of his songs railed against things like A/C and new housing developments and things that keep us from "the real." He seemed to get confused, torn between following his conscience and his concern for the audience, and the show took a noticeable energy dive from there on in. Or maybe it was the decidedly un-Jonathan Richman-like song he sang about being a victim to other people's unkindness and cruelty (I don't the name of it, but my guess is that it was a cover of a Vic Chestnutt song; Chestnutt opened the show). Whatever the reason, JR lost his groove about halfway through, and struggled mightily to regain his balance. 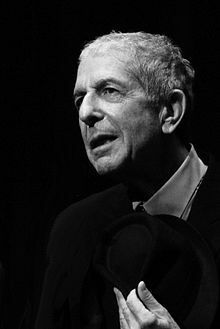 Seeing this guy, in his late 50's, veteran of thousands of concerts, care so deeply about trying to find his way back into the moment, was a real gift. Hearing his conviction that he'd rather fail in his dedication to the moment than be another nail in the coffin of true, live performance and risk and humanity, confirms for me -- once again -- that Jonathan Richman is a modern-day hero. Go see him if, and as often as, you can. Tour dates are here.